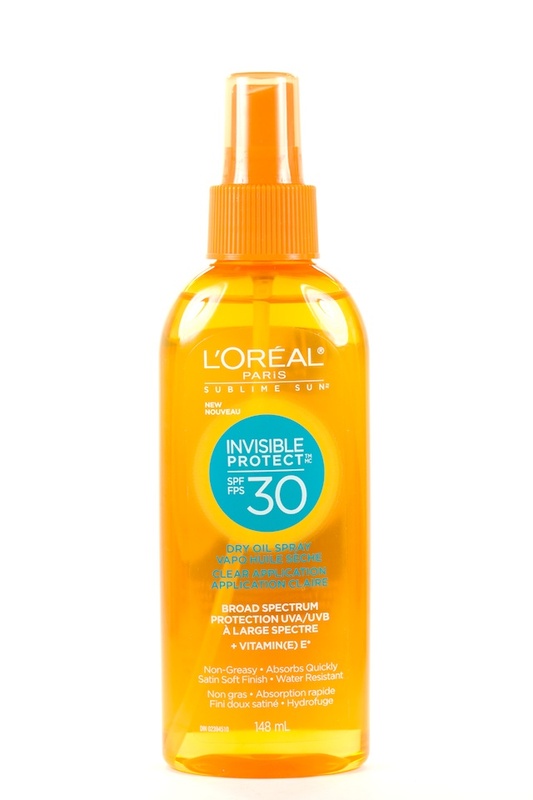 Unlike tanning oils, this is a non-greasy, lightweight dry oil spray that will not only nourish your skin but protect it from UV rays. 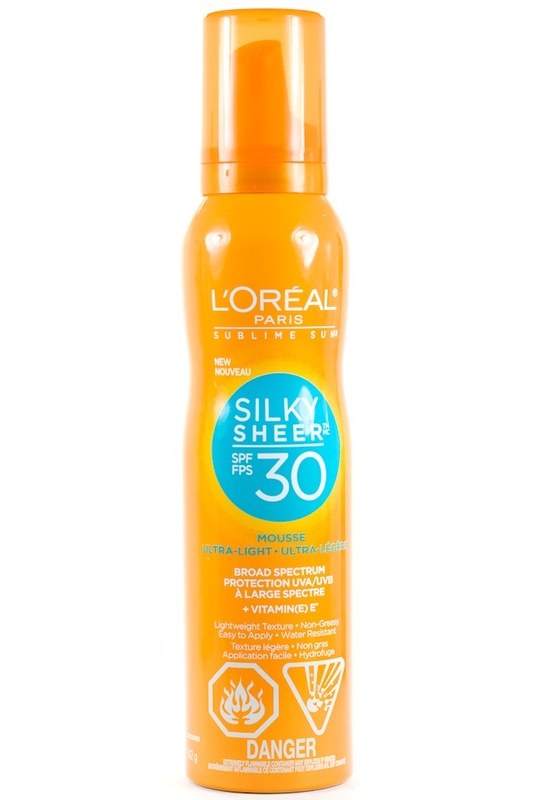 Plus, spritz this on your legs if you want an effortless glow! 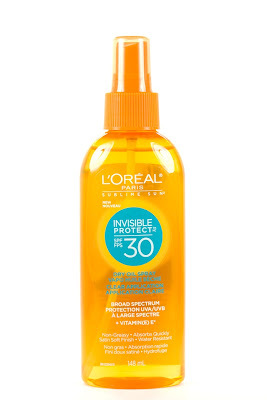 I am now on my second bottle of this… though I did opt for the SPF 50 this time. 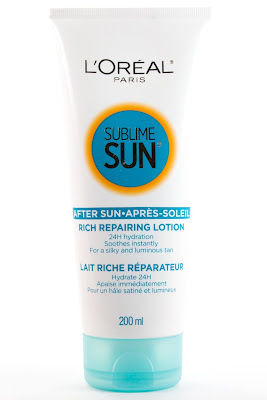 I hate face sunscreens that feel sticky or leave white streaks on my skin… luckily, this does not do that. 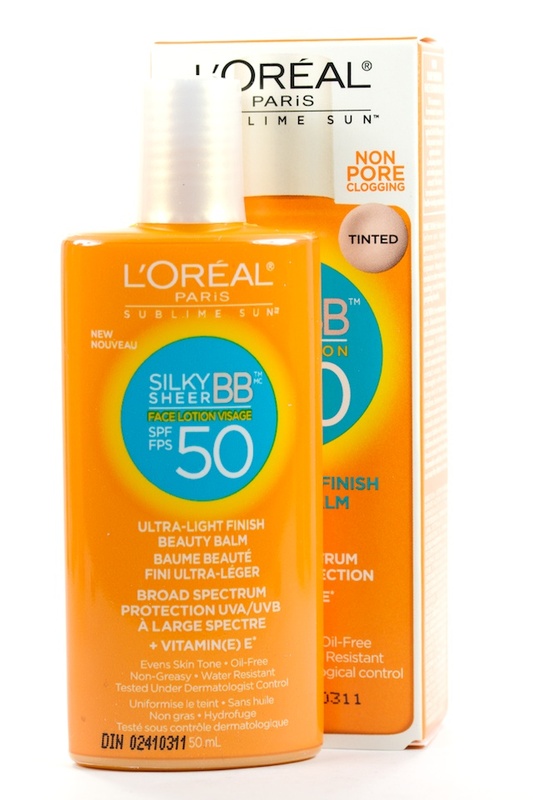 I love that this sunscreen has a bit of a tint to it (though not nearly enough as to provide any sort of coverage). I tried by first tinted sunscreen last summer (the TiZO Facial Mineral Sunscreen) and I think they’re the bomb dot com. 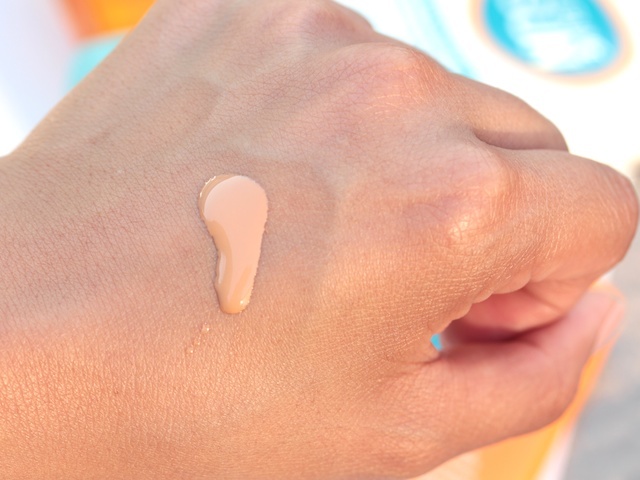 They act like a lightweight tinted moisturizer to give your skin a glow, but more importantly, protects your skin from harmful rays. No, this is not for your hair. 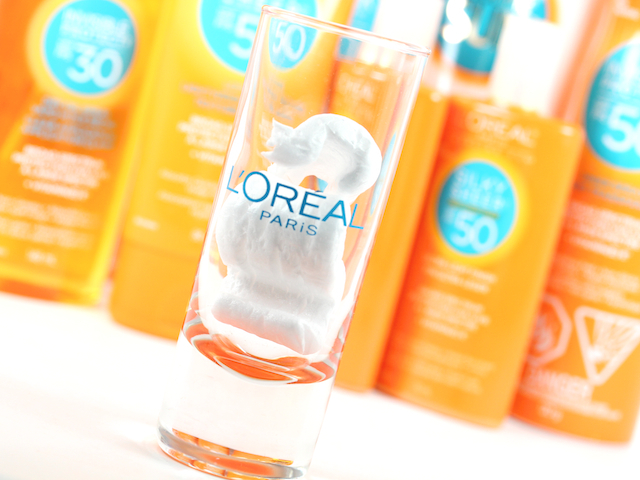 Yes, it is a foam sunscreen for your body. What will they think of next? Though it may seem gimmicky and while I use up way more of this than I probably need to because I just can’t grasp the foam-to-sunscreen ratio, I love this stuff! 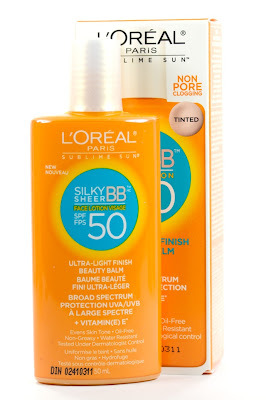 I much prefer this over regular (read: boring) cream sunscreens. It has a slightly cool feeling when you rub it into your skin and it absorbs really quickly. This is the one that I have been keeping in my purse throughout the summer. I love it because it’s lightweight, non-greasy, and it’s great to reapply on my face or skin throughout the day. No weird white streaks and it doesn’t clog up my pores. We’ve all been there, sometimes you just get a little too much sun and your skin is feeling really dry. 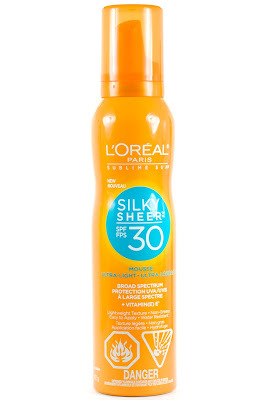 I’ve used this After Sun lotion a few times this summer—I definitely needed it after a Blue Jays game one afternoon (I could just feel my skin cooking under the sun). This lotion is in fused with Aloe, which is not only cooling but uber soothing, too. Perfect after a sun overdose. I love to apply this after a day out, it makes my skin feel so rejuvenated. Dermatologists say that you’re supposed to use about a teaspoon of sunscreen for your face and about a shot glass for your body. That’s every time you reapply, too! 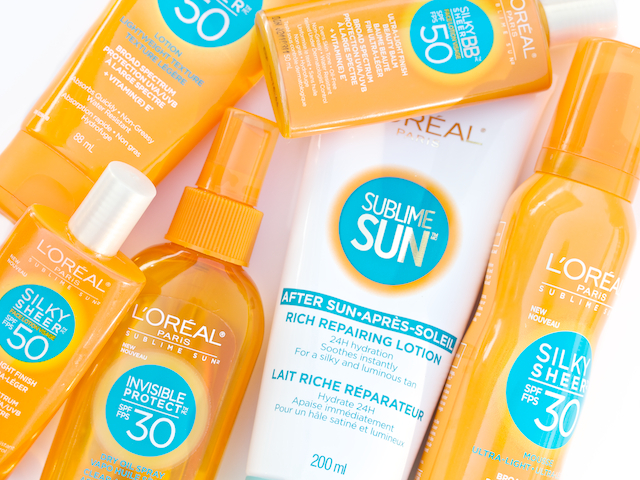 Here's hoping we'll need some of this for the last long-weekend of summer, but in case the weather forecasts are right & it does end up raining... Keep these in mind when getting ready for your next tropical getaway! I think we could all use a real taste of summer, even if it’s just for a week or two. 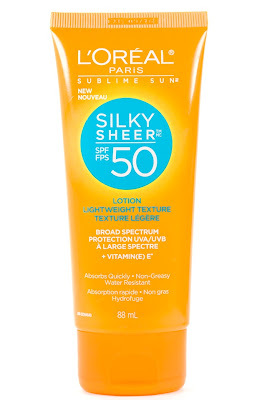 I have been enjoying the Silky Sheer BB sunscreen. It doesn't feel heavy at all and evens out the redness in my skin a little too. I'm sad summer is going to be over soon, but I do love Fall for its crispness.